Alan Titchmarsh is a horticultural journalist and gardening expert who also presents and hosts shows such as Songs of Praise. His daytime show features an eclectic mix of music, arts and conversation. John has appeared on the show four times, in February 2008, March 2010, September 2010, when he sung "So Close" live in duet with Jodie Prenger and in February 2012, when he was joined by his sister, Carole E Barrowman. 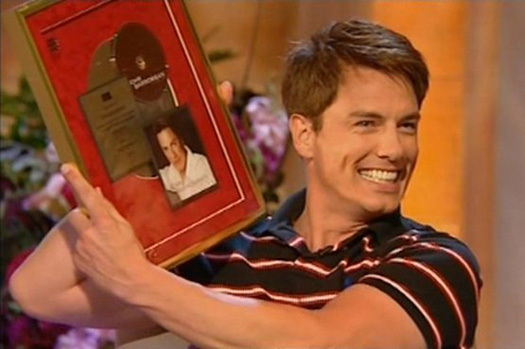 During his appearance in February 2008 to talk about his autobiography Anything Goes and his first Sony CD, Another Side, there was a major surprise waiting for him - Alan presented John with a Gold Disc to recognise 100,000 sales of the album!